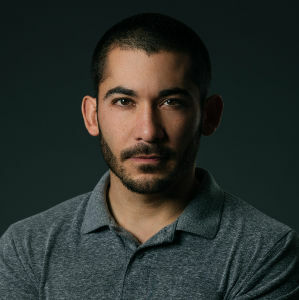 Kentucky sports and senior portrait photographer Matt Hernandez is known for capturing dramatic, awesome senior portraits with relatively simple lighting setups. 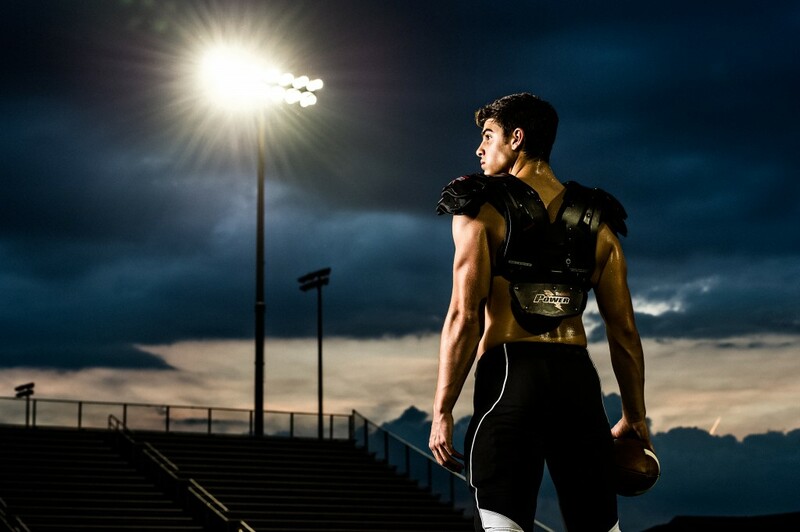 To capture these dramatic images of Cash, a high school football player, Matt uses a single strobe modified by the Zeppelin Deep Parabolic softbox. Matt specifically chooses the largest Zeppelin due to it’s ability to create a large, directed light source. This allows Matt to illuminate his subject from about 15′ away. Matt’s strobe is mounted within the 59″ Zeppelin on the Zeppelin Mounting Arm. This internal mounting system allows for further focusing of the strobe. As the light hits the rear of the Zeppelin, its output is maximized and appears much more specular on the subject. 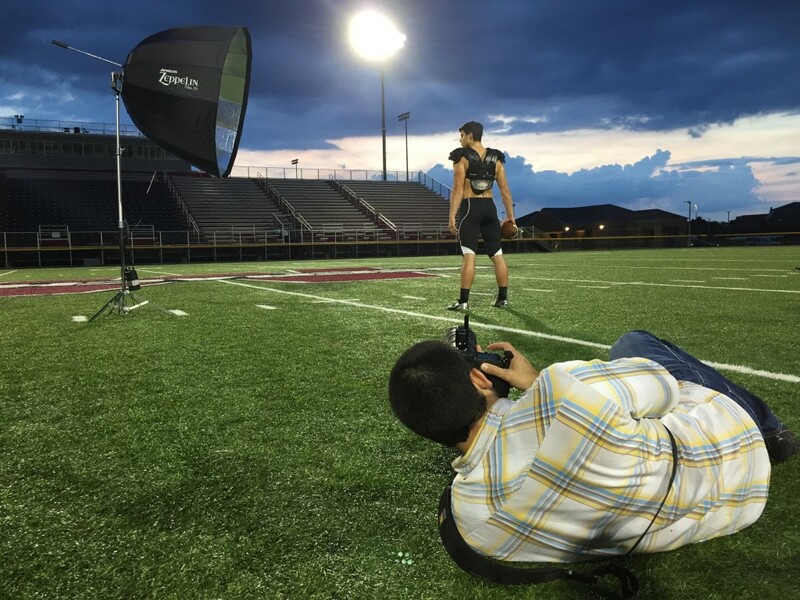 Matt chooses to shoot at 7:45 pm on-location in Paducah, Kentucky. While this only gives Matt about 15 minutes to shoot before the sun sets, it allows him to capture a beautiful and dramatic sky these portraits. 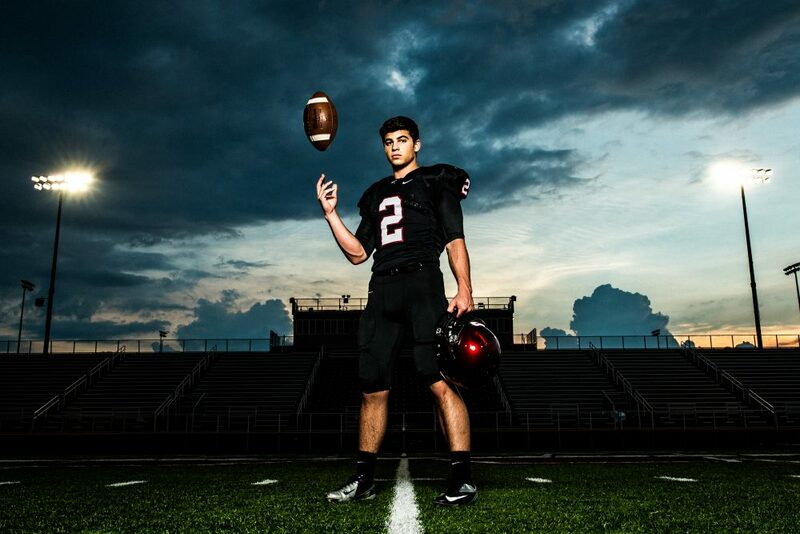 Shooting late in the day also allows photographers to create more dramatic, sculpted lighting for awesome senior portraits.